Today every tech savvy and DigitFreak reader are well aware of the fact that pretty much everything that we do on the internet is being logged or monitored. However, we are not frightened of these basic privacy threats because we Freak’s are good at cloaking our movements over the virtual world. To prevent the online snooping and hide our identity on the internet, millions of people have signed up to a VPN service. Unfortunately, not all VPN services are as anonymous as they claim. There are multiple methods to hide your identity over the internet, but using a VPN server is the cheapest service that can effectively make your presence almost untraceable on the internet. It should be noted that efficiency of a given method varies according to the service provider and the way you implement them. I did explained it on the previous VPN review, but I will quote it again. For example, if you are using a VPN service from Provider X and Provider Y – you may end up with different service quality and most importantly, the security of your identity over the internet. As mentioned earlier, not all service providers are honest and give you the total value for money. Most of them do provide facilities from cheap data centers and often overload their servers. We also mentioned earlier that newer VPN service provider has faster servers and better services compared to some old and established companies. New companies have less crowded servers and latest technology to balance the traffic over their data centers. I found an emerging VPN service provider (CactusVPN) few weeks ago, and had to keep looking for other services out their for DigitFreak readers. While searching over the internet, one name that popped over and over again was — HideIPVPN. Since, we already spent some money to subscribe an annual plan on CactusVPN for my previous review, we couldn’t go for another subscription. We went to their website and asked for a trial account to review their services on our website. This article not sponsored or requested by HideIPVPN, however they were happy to lend out 1 month free trial account for this review. The company offers many exciting packages to choose from, which ranges from $5.99 to $11.95, if opted for monthly package. The subscription package can be little cheaper if you go for the annual subscription. They offer 1 Unlimited VPN Plan (which includes it all) with your choice of three term periods; 1, 6 or 12 months. Tip: Try HideIPVPN for 3 Days to see if it’s right for you. If you like it, upgrade to a longer term and save! If you find it’s not for you, you’re covered by their 3-Day Money-Back Guarantee. You can go for any of the packages, based on your personal preference and why you want to get a VPN service in the first place. If you want to unblock websites based in US, you would go for “US VPN.” There are multiple countries you can choose from – Germany, UK, US and Canada can be subscribed individually, but NL or DE server subscription requires you to subscribe to one of the multi server package. Keep in mind, Most VPN providers support P2P on NL or DE servers only because it is illegal in both UK and US. HideIPVPN has special package just for p2p transfers which allows P2P transfers over their network. This is the good thing, because most of the companies don’t specifies P2P support on their website. We at DigitFreak always support P2P community, so its quite obvious that we tend to bend towards this feature. Once you buy any of their VPN package, you’ll receive your account details by email. Login to your account with the email and password to access client area. The client area dashboard is neat and elegant, you can access useful contents and necessary links in one place. Please Note that Login details for client area and VPN service are different. To access VPN/Smart DNS service you must have a unique key to login. You can find these details in the client area. The easiest way to access their service is by their official software, which can be downloaded from their website for free. It is only available for Windows and Mac atm, for Linux you will have to configure the VPN service manually. When I installed the application on my computer, it felt very similar to CactusVPN (that we reviewed earlier) software. You can manage your Smart DNS and VPN service in one window. Using HideIPVPN software is as simple as 1,2,3. As is the case with other VPN service providers, HideIPVPN offers PPTP, SSTP, L2Tp/IPSec and OpenVPN security protocols. No surprises here, but what is outstanding to note is that it has gone ahead and implemented a new VPN protocol. However, they lack the latest military grade encryption – SoftEther, that is practically untraceable — which HideIPVPN promised to implement in near future. The truly useful feature of the software is the new revolutionary App Killer option, which is built into the application. You can add the software on this tab, which makes sure that the software included here are terminated when connection to VPN server drops due to some reason. The HideIPVPN application will terminate the software included in this list and restart them once reconnected to the server. This is really useful feature for those who take security very seriously. 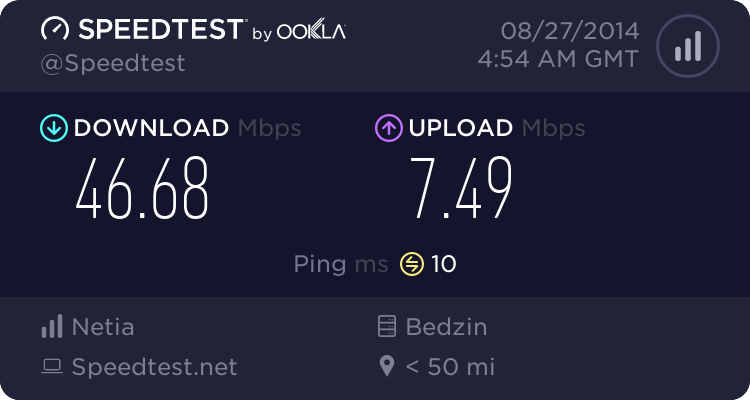 Instead of the standard 40-80% customary drop in available ISP speed with other VPN companies, HideIPVPN was able to tap into almost 80-90% of the available ISP speed. Even we were surprised to find this was possible. This ensured that all streaming media could be viewed without trouble. Smart DNS is relatively new technology which directs your requests to the proxy server, that is capable of unblocking any website regardless of your Geo-graphical position. Any user who is not currently located within a specific area which has been approved for viewing content available on these Geo-restricted websites will be automatically blocked from using the site freely and prevented from streaming/downloading the content available to permitted users. This is a very nice feature, because there is negligible speed drop while using the SmartDNS feature provided by the company and you can still access all the region-restricted or blocked media/websites. 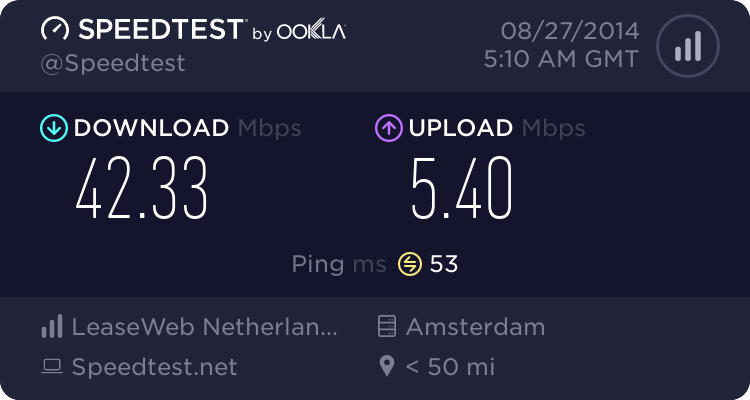 People often ask, how fast is HideIPVPN? The simple answer is it’s fast enough for downloading, streaming videos, and playing online games. HideIPVPN customers give an average rating of 4 out of 5 on speed, which is a very acceptable score. While the speed may vary depending on many factors. 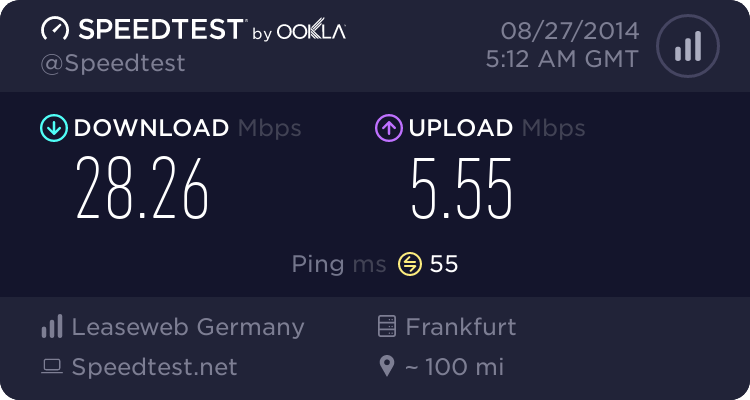 Your connection speed depends on several factors: which protocol you use, which data transport method you select, and your choice of DNS server. 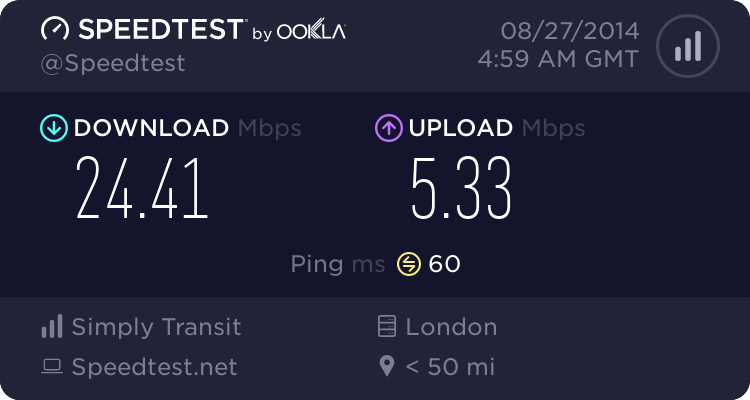 We noticed below average speed drops while connected to the US servers, but UK, NL and DE servers performed quiet well. Keep it in mind that VPN servers works very differently, as they have to encrypt your data before sending it back to you, which ends up to be a network congestion and throttle the connection speed a little. In general, the closer you are to VPN server, the better bandwidth you get. As you know VPN connection only in theory is a direct connection between two computers. In reality data (encrypted) is send via many intermediary servers. For some connections less, for some more. We rarely had to contact HideIPVPN’s Support, but whenever we did, we always received quick and thorough responses to your questions or issues. A very satisfying experience. However, HideIPVPN falls slightly behind the top VPN services in so much as it does not provide skype or telephone support for customers. Instead, customers can log in to the client area on the website and use the support ticketing system, live chat or email the company for support. Email Support (Recommended) – We found email to best method to contact either their sales or technical team for support, because it’s much more organized, you can keep everything on record and their response time is usually within an hour or two. They can also address more complicated issues or questions in detail through email. Live Chat – This is great if you have a quick question or concern about their service. However, their Live Chat is only available 12 hours a day. information do you hold and for how long? No do not keep any logs of users activity online. Our customers use shared IP so there is no way to assign specific activity to a single customer. circumstances will you share the information you hold with a 3rd party? We operate under US jurisdiction and we would cooperate under US court order. I can not imagine why we would get DCMA in the first place as we do not host any content. Simply, there is nothing to take down. Yes we do offer P2P and torrent support on NL and DE VPN servers. It is also worth to mention that our VPN application has a very nice feature – “application killer”. It will shot down app if VPN connection is lost and once it is automatically re-established it will start it back on. identify an active user of your service? If a court order would com in and if we would have sufficient data as to identify user (that is not possible if payment is mad via Bitcoin system) we would have no choice but to comply. But, as we said in point 1 and 2. As we operate under US jurisdiction we do not store any logs as we do not have to. So all we could say (in the worst case) is – Yes, Mr Smith is our customer – and nothing else. 7. What tools are used to monitor and mitigate abuse of your service? We do not comment on such measures, reasons for this are obvious :-). However if service is abused we will know and account will be closed immediately. If you want to use our service to stay private and anonymous online – feel free to come to us and we will do all we can to make it happen. Other than that we can not help you. And so that it is clear for everyone – paedophiles don’t even try! would recommend to your users? At this point SSTP, but OpenVPN and L2TP are not bad for a general but secure browsing as well. when security and anonymity is concerned. It is a military grade security protocol with AES 256-bit and RSA 4096-bit encryption. It is much harder to be detectable by ISP. It will be coming to HideIPVPN at some point in future. So far we’ve discussed what makes HideIPVPN a great VPN service. However, like any product, HideIPVPN isn’t perfect. Though we found the support (by email, support ticket or live chat) helpful and reasonably efficient, adding live telephone support would make life a lot easier, and result in faster turnover of inquiries. HideIPVPN offers a 3 days money back guarantee so you can test their full service, and ask for cancellation if not satisfied within the given time frame. They also offer 24 hours trial on VPN services and 7 days trial for SmartDNS. If you are in the market for an affordable, reliable personal VPN with timely support, you should definitely consider HideIPVPN. HideIPVPN is easy to install and use. 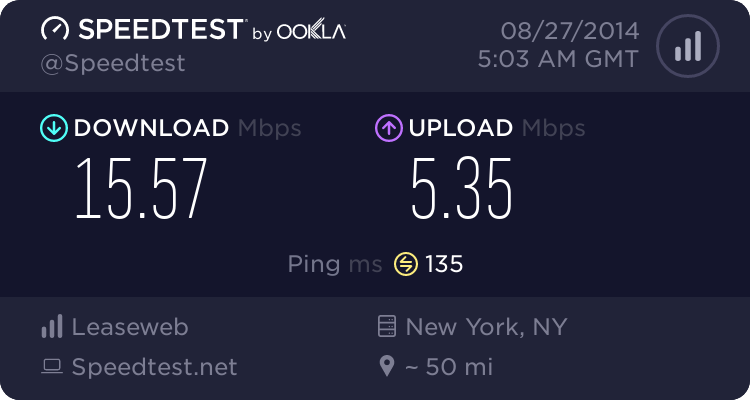 The speed is excellent. The pricing concerns us a little, as other VPN providers usually offers their service at standard price of $6.99 or less, but HideIPVPN’s premium service comes at $11.95/month. However, good service always comes at a price – HideIPVPN is p2p friendly and keeps user data secure, they even got a dedicated package just for p2p transfers. Many other VPN providers in this day and age have a zero tolerance policy when it comes to that type of filesharing. The main negatives to the service are that it is difficult to get a refund for anything other than defective software, while there are currently no servers outside of Europe and North America, and even in those areas, only five countries in total have servers. We recommend HideIPVPN if your sole purpose is to protect yourself from snoopers, surf blocked websites and stream videos anonymously over your network. Next articleTech Giant Samsung, devours another SSD-related I/O caching company, Proximal Data!